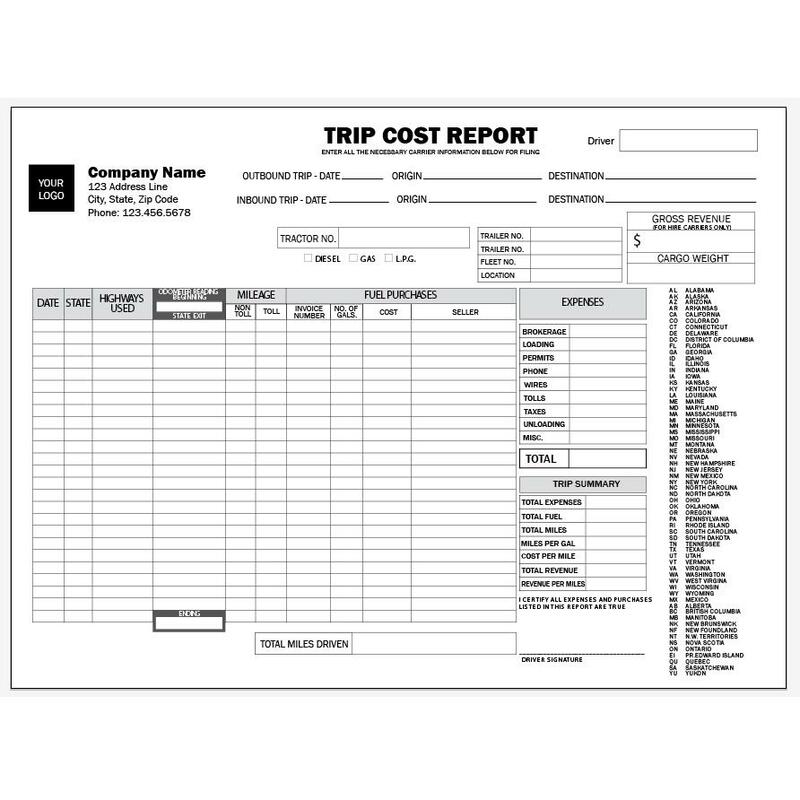 Use truck Driver Trip Envelope to keep track of fuel fills, receipts, and log other trip expenses, all in one place! Instant pricing. 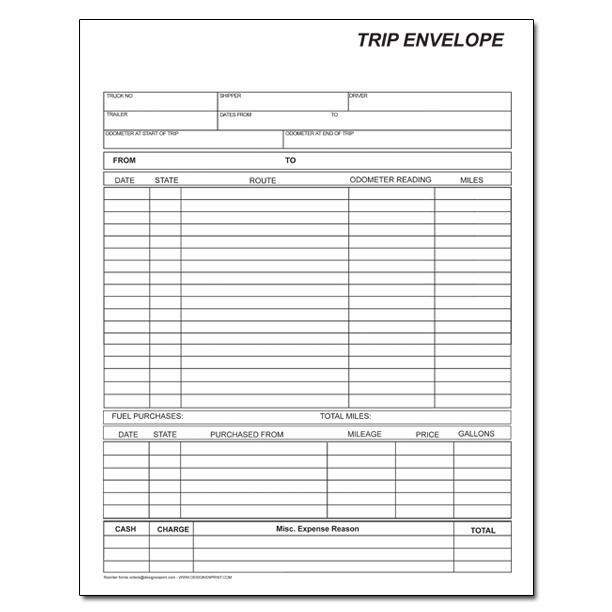 Trip envelopes helps in keeping records in one place in an organized way on each and every trip. You can use brown or white envelopes at a 9" x 12" size. If you would like another size just send us an email or call. 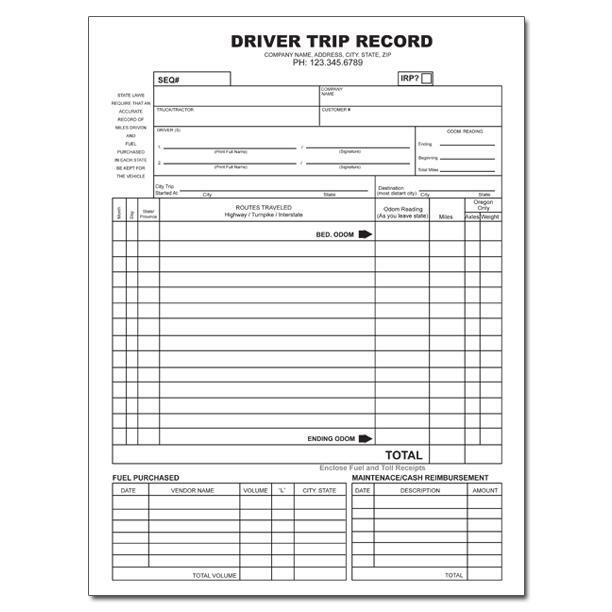 Personalize truck driver trip envelope envelope with your company information and logo. Give your business a true professional look and feel. Order now! 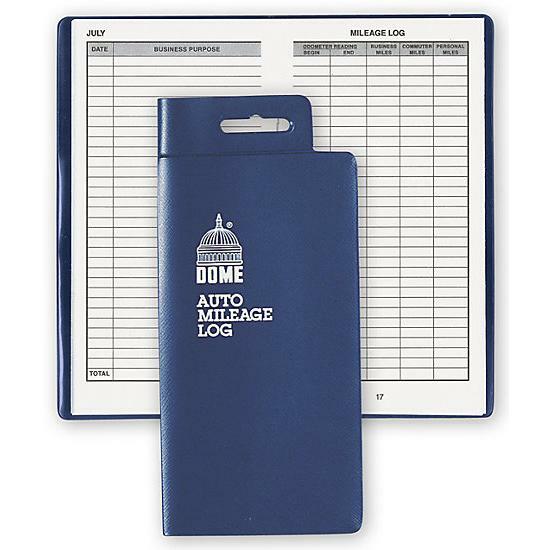 Envelopes used for trip report fuel & Mileage reporting system. Deadline miles are recorded on each trip and you also have sections for fuel report, previous load destination, origin city and state, destination city and state, odometer reading etc.